For more than two hours we waited. Two hours of being drenched in sweat and enduring the humidity of a summer. 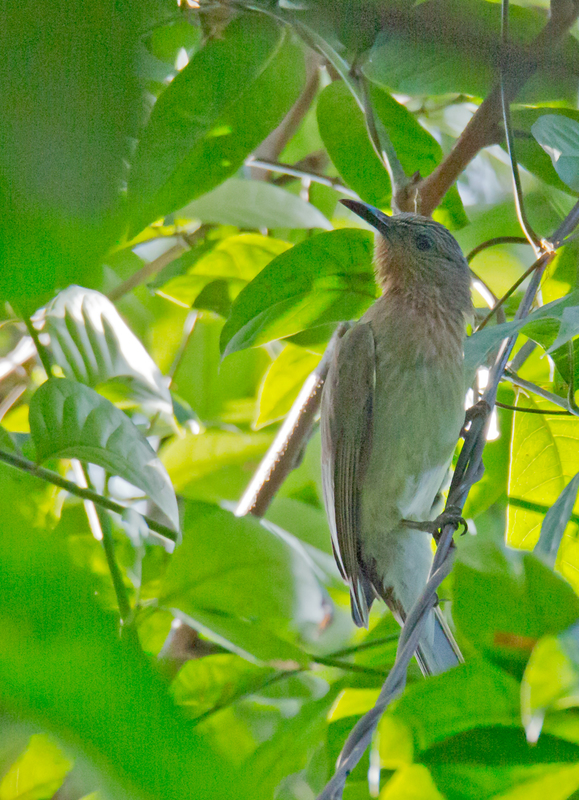 We were at the Mini Forest of the La Mesa Ecopark for a particular purpose: to photograph the Hooded Pitta and the Mangrove Blue Flycatcher. We sadly dipped on both. But please show us no pity. The morning was not a total disaster. For one thing a Black-naped Oriole - a species that prefers to stay high among the branches of tall trees - came out in the open and posed for us for a few minutes. 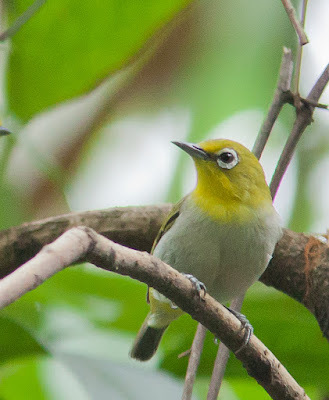 Then a pair of Lowland White-eyes cavorted just above us. An overstaying(?) 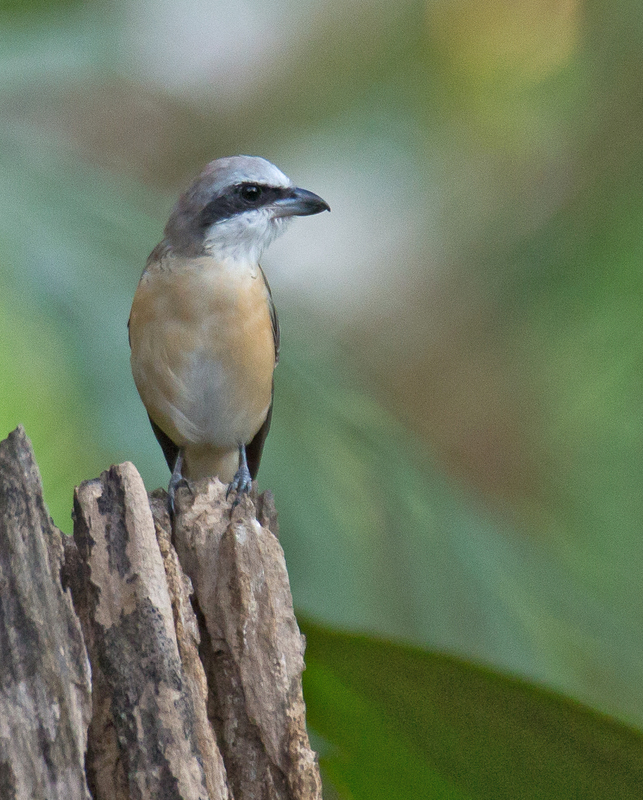 Brown Shrike was still hanging around perhaps aware that it was still quite cold in its home in northern Asia. A surprise was a Philippine Bulbul which have not been seen much in this area. Also the morning was about people. As we were about to get into the mini forest we met a young guy. He was a campus missionary from our church (Victory Christian Fellowship) in Novaliches. They will be holding a youth ministry at the Ecopark he told us. While waiting for the Pitta we met an old friend, and fellow birder, Jenny de Villa. We spent some time together catching up and sharing our birding experiences. Finally, as we were already driving on our way out, I saw a guy dressed in camp and holding a camera with long lens. 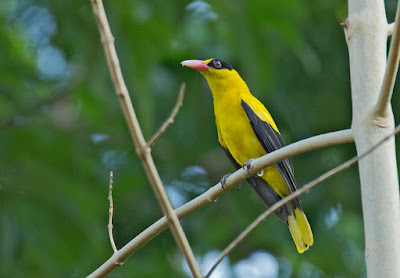 "Bird photographer! ", I told my wife. I waved at him and parked the car. He came over and introduced himself and we did likewise. 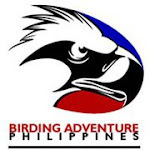 We just added a "lifer" to our birding friend list - Rey Ibay. 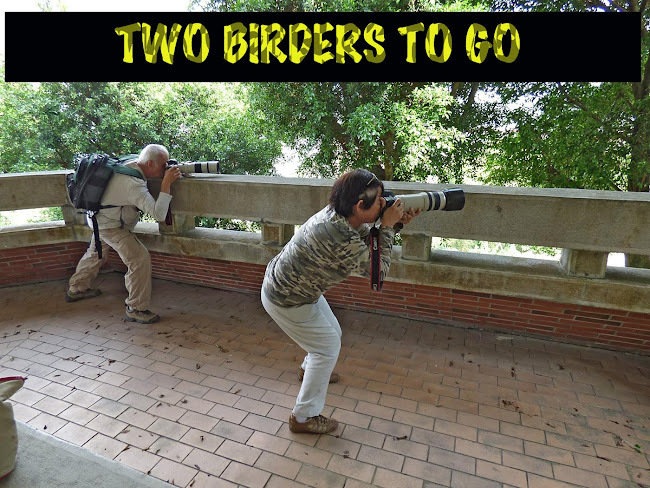 Birder, photographer and occasional cynic.